Earphones and headphones are one of the most common gadgets taken on trips and travel, but almost no one bothers with noise cancellation technology. They should – the lowering in price of noise cancellation technology is the biggest revolution to happen to airline travel for decades. So Pioneer’s new feature-packed Rayz Plus are well-timed and on-trend. Noise cancelling headphones – which block-out ambient noise (and up to 90 decibels of engine noise in aircraft cabins) – are rather common, but also far too bulky and expensive to consider taking on long trips. No wonder they haven’t taken off, so to speak. There are earphones with the same technology integrated, but as well as being hideously expensive, such earphones usually rely on a built-in battery that must be recharged, typically over micro USB. That means travelling with more cables then you need to, especially if you’re an iPhone (or iPod, or iPad) user. Incidentally, they’re available in graphite and bronze metallic finishes. Cue the Rayz Plus, which not only attach to the Apple Lightning connector on an iPhone, but use that connector to charge the noise cancelling technology. If that’s clever stuff, it gets even more impressive for those after some quiet time. You see, the Rayz Plus use smart noise cancellation, a patented tech that’s step one on the way to true personalised audio. 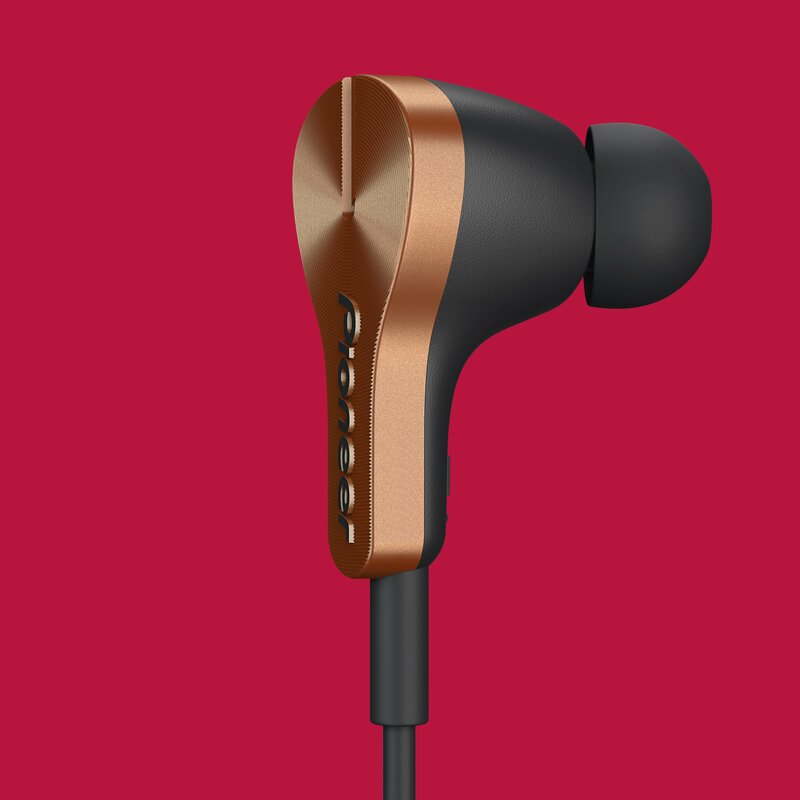 It optimises the noise cancelling tech according to the environment, but also according to the shape of your ear, thanks to six integrated microphones. The Rayz Plus is tuned to block-out city, school, cafe or office noise. On a recent journey that involved both busy city centres, packed commuter trains, and a long haul flight, the Rays Plus worked well without massively impressing. In a busy cafe with music in the background, they worked well; we could hear our own music very clearly, and not too much of the chatter around us. On a train it worked best, managing to dull the sound of the engines. However, in a long-haul aircraft, it wasn’t such a success – at least not compared to our reference Bose QuietComfort QC20 & QC20i acoustic noise cancelling earphones. It just didn’t cut-out as much of the 90+ decibels of low-end engine noise as we needed to work, then nap. However, from a practical point of view we liked that we didn’t have to worry about the noise cancelling tech running out of battery halfway through a snooze on the night flight portion of the trip. Not that the earphones drain much battery; TravGear always travels with a portable battery for recharging a smart phone, but during this 20 hour+ journey, we didn’t use it. The earphones themselves are comfortable enough to leave in your ears while you attempt to have a snooze. That’s really, really important if you’re taking a long haul flight. Thankfully there are a lot of ear-tips included, from basic silicon versions to memory foam-style Comply tips. Great work, Pioneer; the latter are a TravGear favourite. We also noticed that the earphones know where they are; remove them from your ears and the audio is instantly paused. There is also a Rayz Accessory Companion app you can use to customise various buttons. Most handily, you can launch three features and apps on your phone by linking it to the smart button (single tap, double tap, and three-second hold). But it would have been nice if there was a much freer choice of apps (it’s mainly Rayz features and that darned annoying Apple Music service). And also a carry pouch. Can it cut it at 35,000ft? So it might be bye bye, 3.5mm headphone jack, and hello two-way communication between phone and earphones via Apple Lightning, but the generally impressive new noise cancelling tech from Pioneer just fails to make the cut at 35,000ft.